A 2015 survey by the Associated General Contractors of America reported that almost 80% of construction companies are having difficulty finding qualified skilled workers. This problem began to emerge in 2012, when the economy began to improve and construction began to increase, according to Forbes. The unemployment rate dropped, but there were not enough workers to meet the demand, as many had either moved back to their home countries or pursued employment in other industries. Six in 10 construction workers who lost their jobs during the recession went to work in another sector or left the job market entirely by 2013, according to data from the Bureau of Labor Statistics. Workers who left the industry have not been sufficiently replaced. "The share of builders reporting either some or a serious shortage has skyrocketed from a low of 21% in 2012, to 46% in 2014, 52% in 2015, and now 56% in 2016," according to the National Association of Home Builders. According to the Bureau of Labor Statistics, there are 150,000 unfilled construction jobs in the United States. Even though the construction and building industry is now growing, this growth is stunted by the lack of skilled labor. Companies can't complete jobs on time when they don't have the necessary crew. Project timelines get pushed back and contractors loose out on jobs all together because they can't complete the work. This leads to an increase in overall home prices for buyers and project costs for commercial development. Labor costs have also risen and, in some markets, companies are competing for the same workers and vendors. One potentially positive outcome of the construction labor shortage is that companies must find ways to become more efficient. Here are some ways to use technology to cut excess and save on time and materials so your company can do more with fewer resources. You can save time on your construction site when you have the ability to accurately plan ahead and adjust schedules in real-time. You don't want to have people hanging around waiting to start their tasks because a previous job isn't finished or materials and equipment haven't arrived. Mobile technology will help you to stay on track of the work that is completed each day, and can let managers back in the office know if adjustments need to be made to schedules. That way, you can make sure that when trades and workers are on-site they can actually do their work, which will minimize lost production time. Using technology to go paperless also has advantages for your construction company. 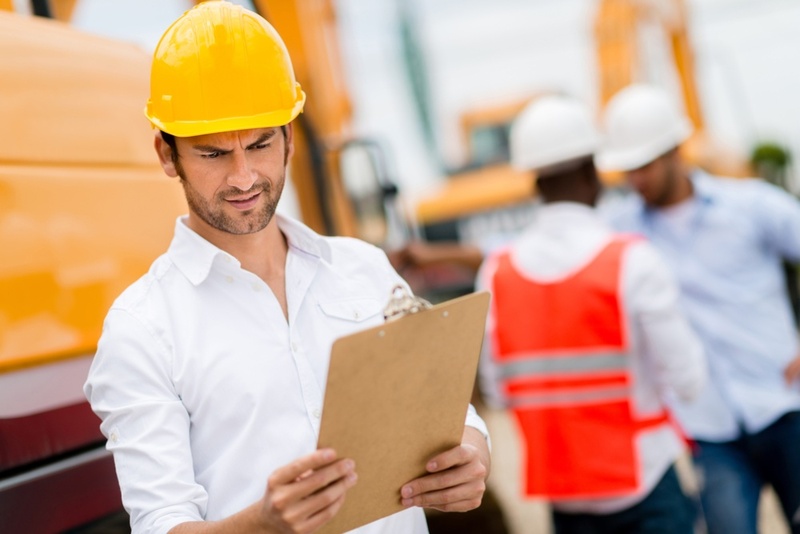 Complete your site inspections and audits more quickly by filling them out on a mobile device, which you probably already have in your pocket. Plus, then you don't need to worry about paperwork getting lost or damaged between when it is filled out on-site and brought back to the office. Technology can help you to better manage your job site so you won't feel the strain from the construction labor shortage. With mobile devices, you can use geolocation to track exactly when workers are on-site by requiring them to include their location when they clock in and out. This will help you to manage what workers are where. Don't end up spending more for overtime because workers are on-site, but not able to complete a job. You can also save administrative time back in the office by using a Cloud or mobile-based solution that will eliminate the need to manually enter all of this data into a spreadsheet or other tool. Technology also cuts down on wait time for approvals between the job site and the office. Managers both on-site and in the office can always have the most up to date data and information, so they can get answers and make informed decisions more quickly. An accident on your construction site isn't good for anyone and will have major repercussions on your timeline and business reputation. Keeping workers safe should always be a top priority. Conducting a job safety analysis and providing adequate training for workers is key, and can be completed more quickly when you digitize the process and fill out your analysis on a smartphone or tablet. You also need to manage time and resources appropriately so that workers aren't working more than they should be or rushing and taking shortcuts because you're understaffed and trying to meet a deadline.